Right from the outset, Vitra established itself as a guardian of good design: though it is mostly known for distributing Charles and Ray Eames’ iconic products on the European market, it has also, through the years, built an impressive list of collaborations with contemporary designers and architects, who gradually gave shape to its nearly too perfect domestic universe. When, in September 2013, the news spread that Vitra had acquired Artek, it appeared a natural (though not inevitable) union of design giants. 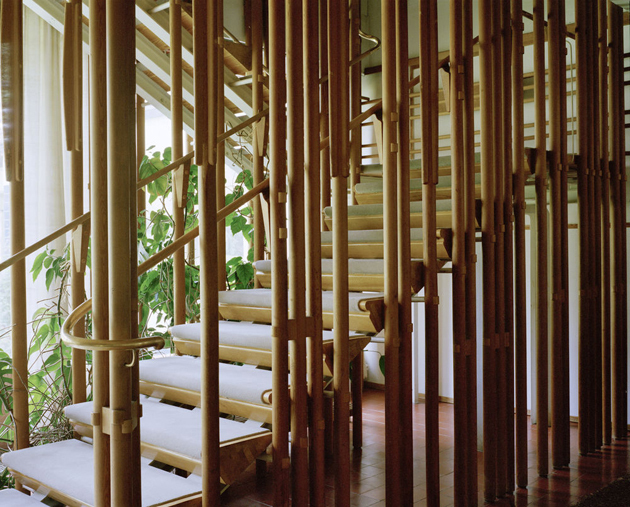 Artek was founded in 1935 by Alvar Aalto as both an international furniture company and a gallery. 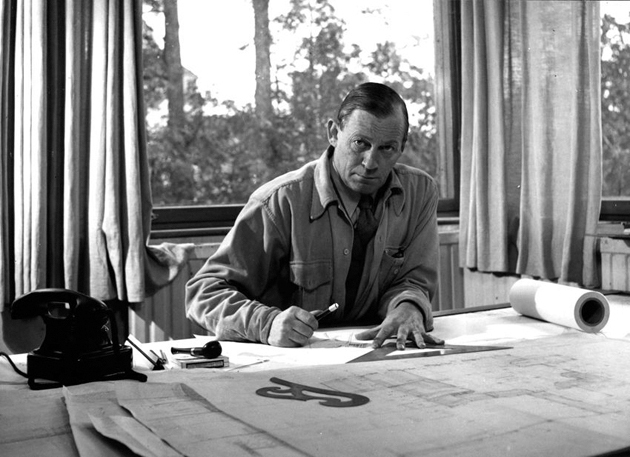 Aalto was the most notable Finnish architect and designer, who, much like Carlo Scarpa in Italy, embraced a design method that was firmly grounded in the peculiarities – natural resources, history and cultural heritage – of his home country, yet without renouncing on utopian visions of 20th century Modernism. Perhaps unsurprisingly, Vitra Design Museum has recently inaugurated an exhibition that offers a new reading of Aalto’s work, in lieu of his rich relationship with 20th century avant-garde movements and its reflection on the contemporary. 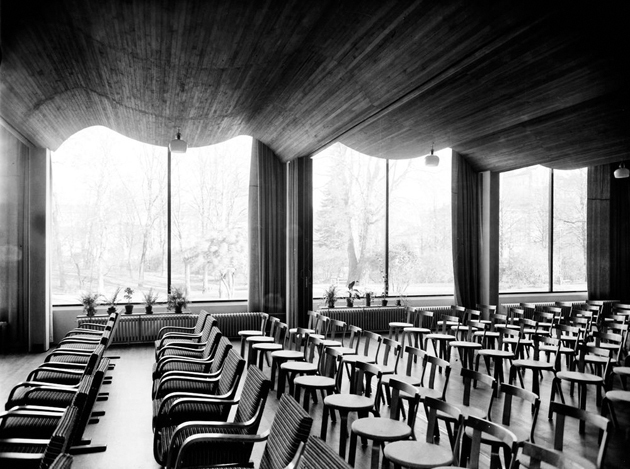 “Alvar Aalto – Second Nature” – running until March 1st 2015 – explores the architect’s oeuvre through four thematic sections: the first space is concerned with Aalto’s early work up to the legendary design of the Paimio sanatorium (1928-1933). 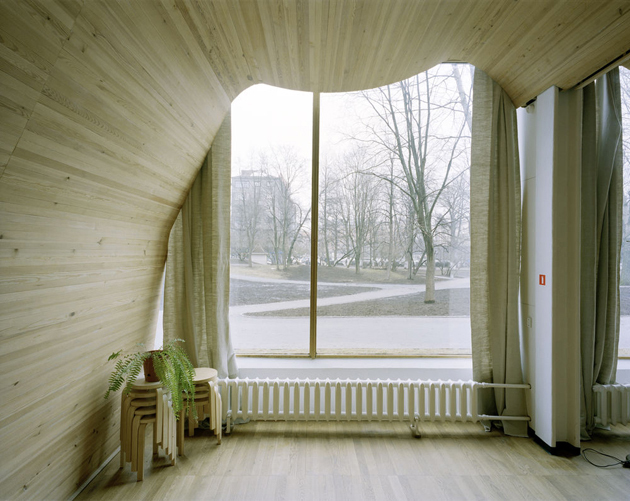 This part of the exhibition traces vividly how Aalto’s work evolved towards the modern movement. 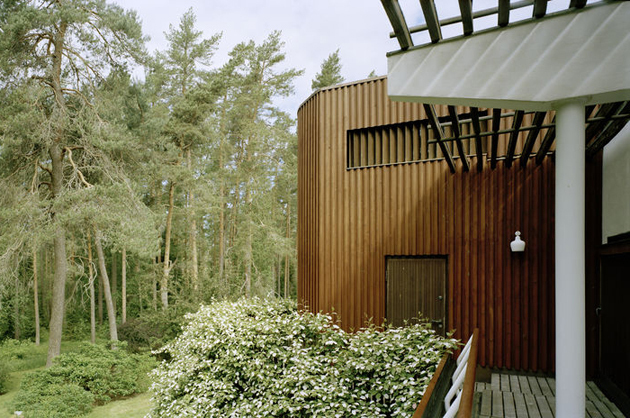 The second space revolves around Aalto’s relationship with art and his dialogue with important artists of his time, illustrated by individual artworks – such as works pieces by Alexander Calder and Jean Arp – and through an in-depth presentation of two key works, Villa Mairea (1938/39) in Noormarkku, Finland and Maison Louis Carré (1956–1959, 1961–1963) in Bazoches-sur-Guyonne, France. The third exhibition space approaches Aalto as a designer of furniture, lights and glass objects as well as surveys surveys the history of Artek. 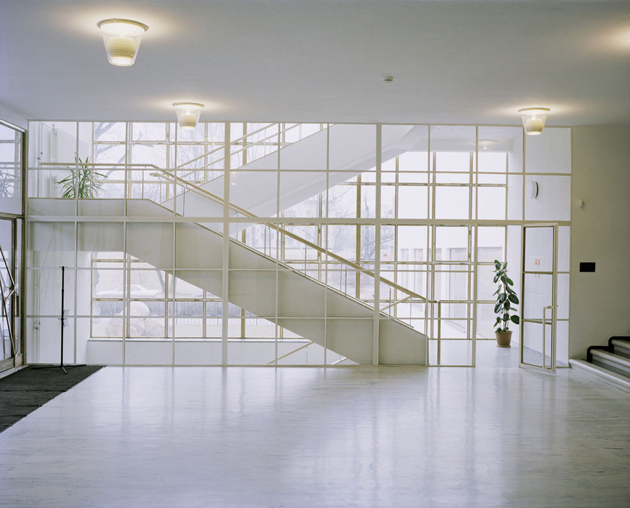 The fourth and final space is dedicated to Aalto’s international ascent in the post-war period and his large-scale projects in architecture, city and masterplanning. Acting as a ‘chief of orchestra’, Aalto has given shape to objects, spaces, glassware, artworks, and, most notably, revolutionary ideas which continue to be relevant and influence the international design scene. 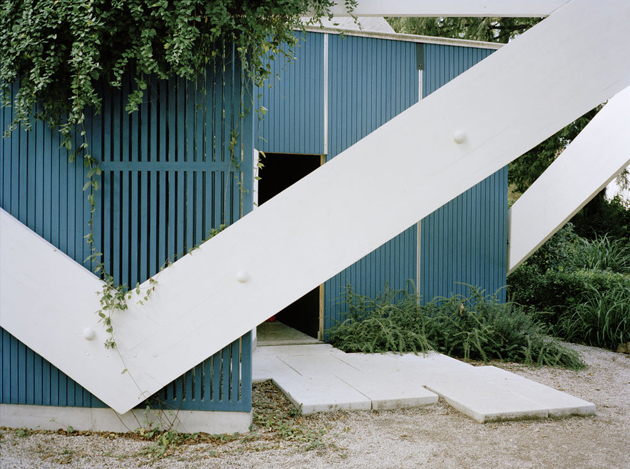 In fact, in an effort to fuse Aalto’s work with the contemporary, Vitra Design Museum has commissioned the photographer Armin Linke to produce photographs and videos of the architect’s selected buildings, proving, once again, that good design often also means good business.